It’s just over a month until the full version of pirate-themed multiplayer title Sea of Thieves arrives on the Xbox One and PC. Ahead of the March 20 launch, publisher Microsoft and developer Rare have released an extensive list of PC requirements, which range from 540p @30fps up to 4k @60fps. As Ubisoft did with Far Cry 4’s spec list, Rare/Microsoft have included a range of resolutions and frame rates and the hardware requirements for each. They have even split the video card categories into “GPU” and “Modern GPU,” and have included suggested hard drive speeds, which is something rarely seen. The good news for owners of potato PCs is that Sea of Thieves will run on an Intel Iris Pro Graphics 6200 or Iris 540 with 4 GB of RAM, a 5400 RPM hard drive (with 60GB free), and integrated graphics. At 540p with minimum, aka “Cursed,” graphics settings, it’s not going to look great, but at least the game works on low-end machines. Moving up to 720p @30 fps requires an Intel Q9450 or AMD Phenom II X6 along with a 1 GB GTX 650 or AMD Radeon 7750. The modern GPU category starts with a GTX 1030 or R7 450. For those who want to play the game in 4k @60 fps with Ultra (mythical) settings, an i7 4790 or Ryzen 5 1600, 16 GB of RAM, a GTX 1080 Ti or RX Vega 64, and an SSD are required. 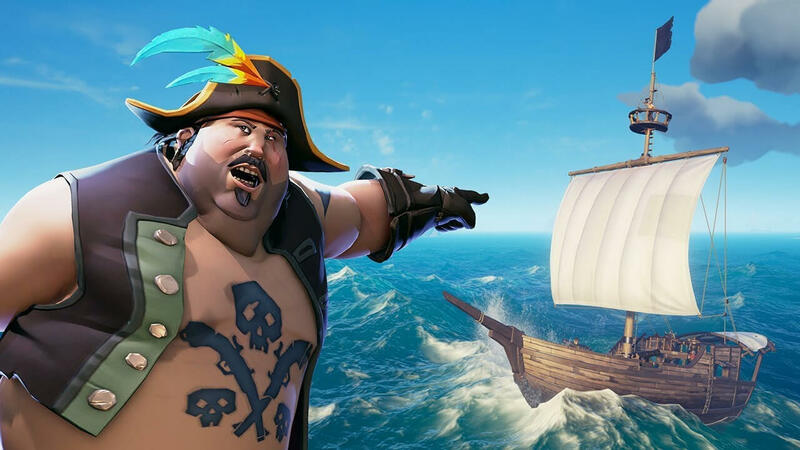 Microsoft recently announced that Sea of Thieves would be one the games from Microsoft Studios to arrive on the company’s Xbox Game Pass subscription service the same day it's released. The changes haven’t been well received by retailers, with one Austrian company delisting Microsoft’s consoles from its store in retaliation. Those who buy the game on Xbox One will also receive access to the PC version through the Play Anywhere initiative.